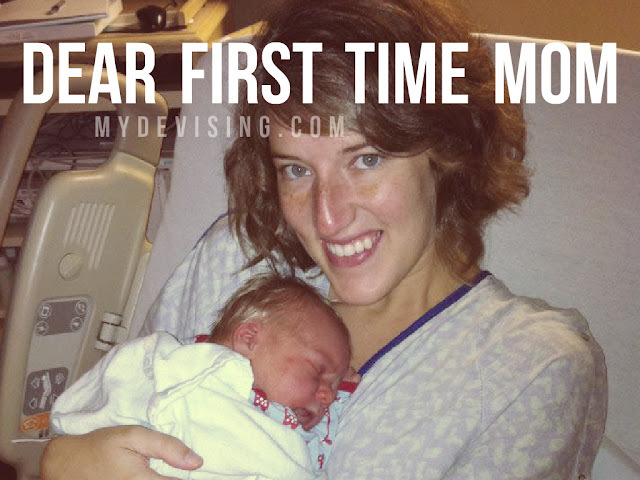 I was a new mom just 4 years ago, and I remember the chaos that filled my mind and heart some days. I want you to know that I know about you. You may be asking yourself, why am I reading this blog post when I could be doing something else more important? Like sleeping while my baby is sleeping. There is truly nothing like having your sleep constantly interrupted by a crying baby. Yes, it's a crying baby who you love and adore, but still, a crying baby. Maybe there's a sad fog that sets in your heart around 7:00 p.m. as you think about the night ahead. You know you aren't "going to bed" like the rest of the world later that night. Bedtime is the same as daytime. Your baby hasn't figured it out and you are feeling like you're at your end. The hope? You will have long, blissful nights of sleep again. I promise. You wonder where your old self went. You may feel insane. You may act like you're insane. You may do absolutely crazy things. Your husband may look at you and wonder why the woman he married has suddenly left your body. You, too, may wonder the same thing. Will you ever think about other things besides counting poopy diapers and timing nursing sessions? Whatever happened to your hobbies? Do you even have any talents? I assure you - you are still a person and you still have interests. You will find your new self, your new normal, and your new rhythm. Your emotions are out of control. Maybe you find yourself whispering, "Should I really have had this baby?" Then you feel the ultimate guilt because who thinks that about their own child? Maybe you're overcome with sadness because every second is slipping away too quickly for you to grasp. Maybe you're overcome with sadness because every second feels like a day and you just want to be done. Maybe you threw some pillows or said irrational things in the middle of the night to your husband. Maybe you feel paper thin and like that at any moment you could tear. Maybe you are exhausted mentally, emotionally, physically, and spiritually. The good news is that there are plenty of us out here who relate to all of your crazy. With time, your emotions will become balanced again. You may need some help. Accept all the meals and Starbucks drinks that your friends offer to drop off. Say yes to the family member who wants to come over and sit with your baby while you take an hour long shower. Say goodbye to your husband when he tells you to get out of the house and go sit at a coffee shop alone. Listen to the people who love you and offer to help. If you are having an exceptionally hard time, you may have postpartum depression. Do not be ashamed to say so. I struggled with PPD with my first. Know this: it says nothing about your mothering and nothing about your relationship with your baby. While it's normal and common, you still need to talk to someone - a family member, a friend, your doctor, a counselor. Someone needs to know. Time may be the only healer for it, but having a community of people around you to get you through is a must. You are doing an honorable thing. Transitioning into motherhood was one of the hardest things I've ever done. But let me tell you something so very important - most of motherhood is not these first few months. Sure, it's a part of it; but the time you spend feeding this child, bathing this child, and changing this child's diaper? It's a tiny dot on the timeline when you consider the time this child will spend doing it all on his own. This little piece of motherhood you are experiencing is a very unique piece. You are in the trenches. You are building the foundation and it's heavy. Motherhood challenges you in all the ways possible. You must become completely selfless and serve this tiny human. To think of other people more than yourself? That's incredibly honorable. You are a really good mom. I'll say it again - YOU are a good mom. You are thinking about motherhood. You are making decisions. You are wanting what's best for your baby. You are loving him and giving him all that he needs. That is a good mom. That is an excellent mom. You are the best mom for your baby because you're YOU. No one else can do it better. 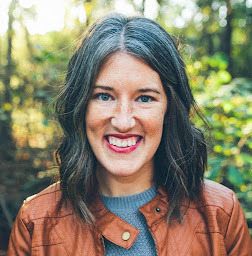 No counselor, pediatrician, #1 Christian Pinterest Mom, or mommy blogger. You are it for your baby and you are all he wants. Keep your head up, mama. You're doing a great job.